Douglass Christmas Carols Bring Santa to Town! You are here: Home » Blog » Douglass Christmas Carols Bring Santa to Town! December 21, 2017Blog, UncategorizedComments Off on Douglass Christmas Carols Bring Santa to Town! We had an amazing Christmas celebration with students performing choreographed Christmas carols!! 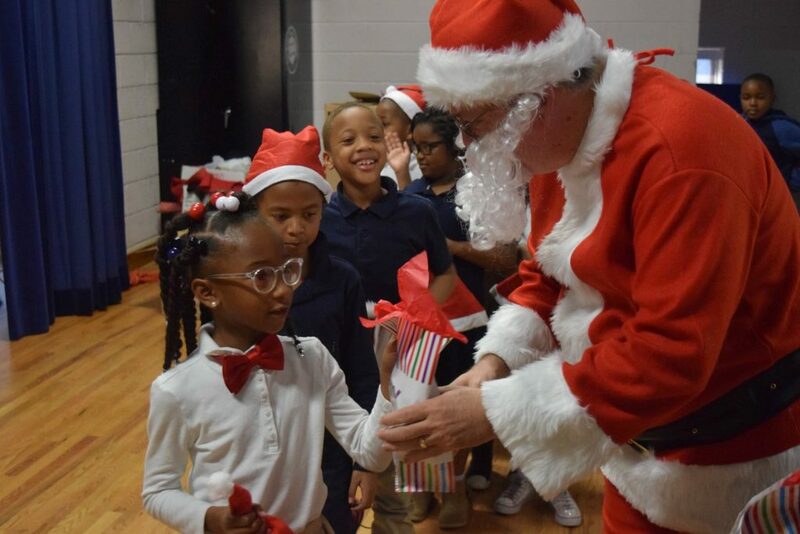 Their energy was so amazing Santa stopped by Douglass Academy – handing out gifts to every student! We wish everyone a merry Christmas and hope you have a great break!